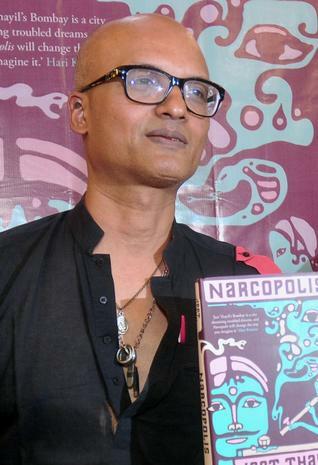 It’s taken me a while to read the last of the books on the Man Booker Prize shortlist (as work can get in the way of my reading) but finally, I have read Jeet Thayil’s Narcopolis. This first novel is a popular contender for the Man Booker Prize, so I was looking forward to seeing what it’s like, although I must be honest and admit that a book about opium addiction in 1970s Bombay is not something I would normally find appealing. Nonetheless, this is an interesting book, offering a narrative of opium addiction which is convincing (unsurprisingly, since I gather Thayil has had experience of addiction) and which examines the conflicts inherent in Indian life. I was hooked by the first sentence, which is the entire prologue and takes seven pages: one is rushed along into the city in this sentence; I’m not sure I am as convinced by the prose of the rest of the book, however, though one can tell that Thayil is a poet. The gratification of reading this novel is slow, I think: the prose is finely-tuned, conjuring both the sharp, lurid visions and the hazy, narcotic dreams of the addicts, making no concessions to the reader who is not familiar with certain Indian words (I looked a lot up), and following a sometimes slightly haphazard chronology. And it is all the better for it: a book of this kind, with this subject matter, would certainly be awful if it tried to be accessible or light. The characters are not appealing, I think, but they are compelling, which is more important. As it is, while it’s not really my cup of tea, it’s well worth a read.